pasta consumption does not contribute to obesity. In recent years pasta gained a bad reputation: it will fatten you. This led lots of people to limit its consumption, often as part of some aggressive “do it yourself” diets. Now a study conducted by the Department of Epidemiology, I.R.C.C.S. Neuromed in Pozzilli, Italy, does justice to this fundamental element of the Mediterranean diet, showing how pasta consumption is actually associated with a reduced likelihood of both general and abdominal obesity. The research, published in the journal Nutrition and Diabetes, examined over 23,000 people recruited in two large epidemiological studies: Moli-sani and INHES (Italian Nutrition & Health Survey), conducted by the same Department. “By analyzing anthropometric data of the participants and their eating habits – explains George Pounis, first author of the paper – we have seen that consumption of pasta, contrary to what many think, is not associated with an increase in body weight, rather the opposite. Our data show that enjoying pasta according to individuals’ needs contributes to a healthy body mass index, lower waist circumference and better waist-hip ratio”. Many studies already demonstrated how Mediterranean Diet is one of the healthiest nutritional regime, even when we talk about weight control. Very little, however, was known about the specific role of a basic component as pasta. Data from the Neuromed study now fill this gap. 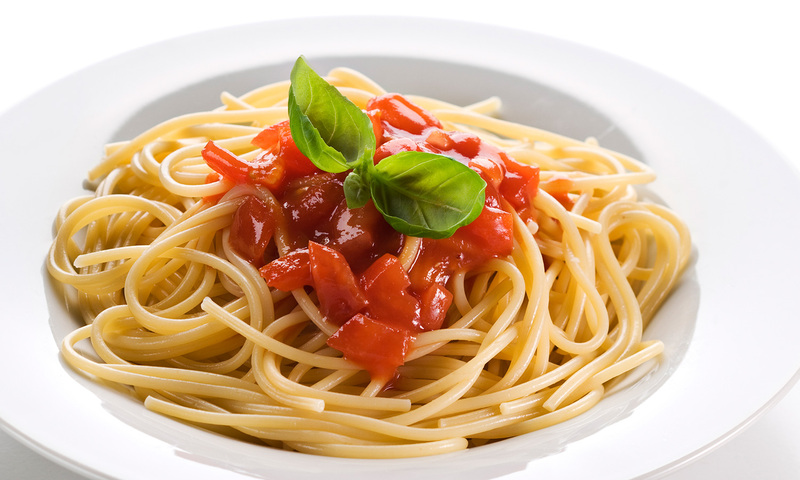 “In popular views – says Licia Iacoviello, Head of the Laboratory of Molecular and Nutritional Epidemiology at Neuromed Institute – pasta is often considered not adequate when you want to lose weight. And some people completely ban it from their meals. In light of this research, we can say that this is not a correct attitude. We’re talking about a fundamental component of Italian Mediterranean tradition, and there is no reason to do without it. The message emerging from this study, as from other scientific analyses conducted in the context of the Moli-sani Project and INHES, is that Mediterranean diet, consumed in moderation and respecting the variety of all its elements (pasta in the first place), is good to your health”. This study was partially supported by Barilla S.p.a. through the MISE (Italian Ministry of Economic Development) within the frame of the ATENA program MI01_00093 – New Technologies for Made in Italy (D.I. PII MI 6/3/2008) and Epicomed Research S.r.l. Started in March 2005, it involves about 25,000 citizens living in the Molise region. The aim is to learn about environmental and genetic factors underlying cardiovascular disease, cancer and degenerative pathologies. Moli-sani study, now based in I.R.C.C.S. Neuromed, has transformed an entire Italian region in a large research lab. The INHES (Italian Nutrition & Health Survey) Project is a research program designed to generate information on eating habits, the factors influencing the choice of food and awareness about the relationship between diet and health in the Italian population. Through telephone interviews, nutritional data were collected in relation to the health of 9.319 citizens from all Italian regions. The Institute for Research, Hospitalization and Health Care (I.R.C.C.S.) Neuromed in Pozzilli (IS) is a landmark, at Italian and international level, for research and therapy in the field of nervous system diseases. A center in which doctors, researchers, staff and the patients themselves form an alliance aimed at ensuring the best level of service and cutting-edge treatments, guided by the most advanced scientific developments.